Mackie Fader App is the accompanying iPad controller app for the Mackie DL1608 Digital Mixer. This is a preview of the interface that will be made available as soon as the DL1608 mixer begins shipping. You can see the mixer interface and check out the features of the mixer via the app. You can use this as your try and buy software for the DL1608. Wireless control provides the ability to tune the room, dial in monitor mixes and adjust effects from anywhere in the venue. 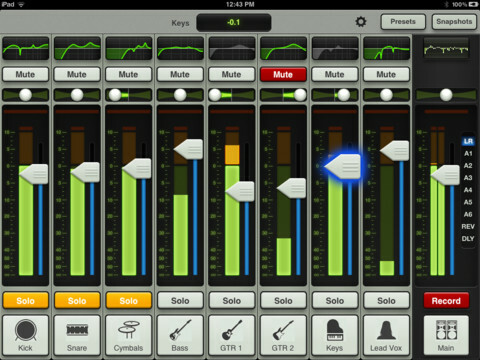 Support for up to 10 iPad devices connected wirelessly so other engineers or musicians can use additional iPad devices to control monitor mixes and more.